Being the lovely people that they are, Samhain sent me a present to welcome me back from the West Country. Isn’t it lovely? As seems to be the new thing for Samhain covers, it’s matt, not glossy. And rather delightfully, it has an ad for Barging In by the lovely Josephine Myles in the back. 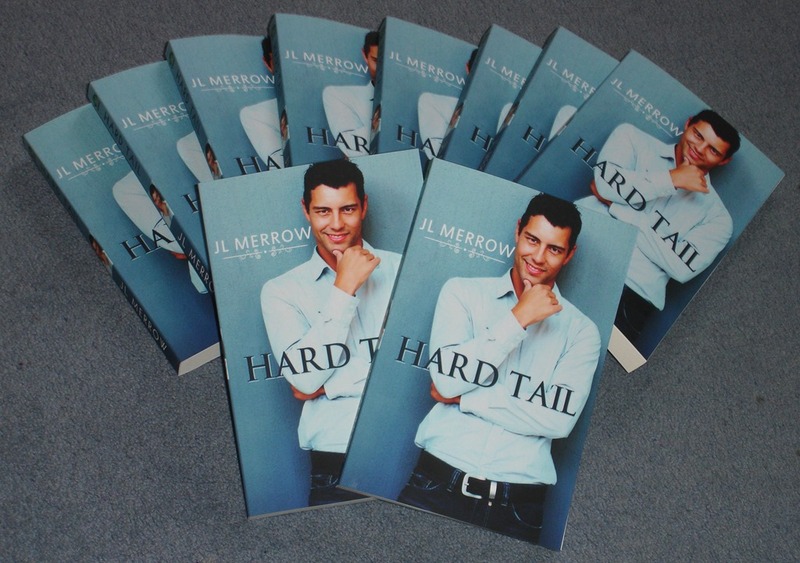 Hard Tail will be out in print on April 2nd, which is just a week before Slam! hits the virtual shelves. And then it’s Get Writing on the 20th. It’s going to be an exciting month! Matte covers make so much more sense than glossy. Stupid fingerprints.